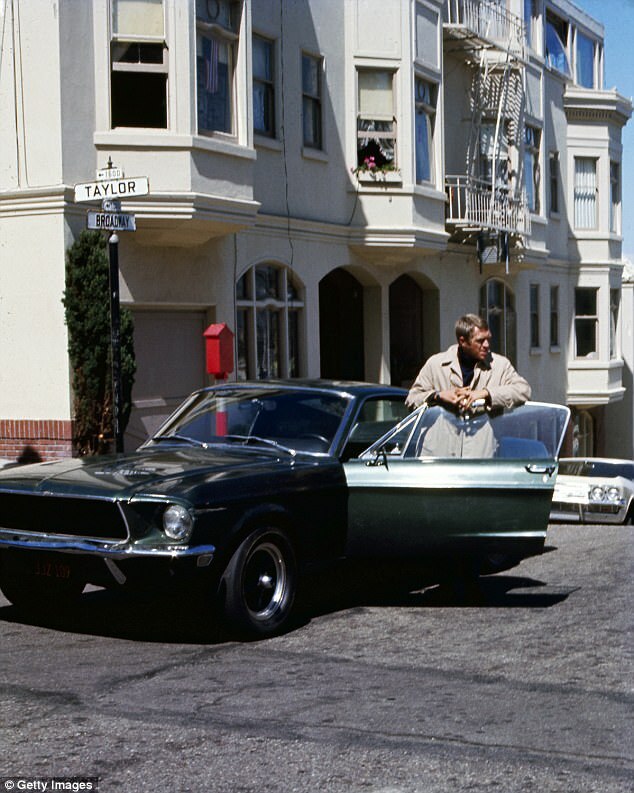 A Ford Mustang driven by Steve McQueen in the streets of San Francisco while filming the 1968 movie Bullitt has been found, it was reported on Wednesday. 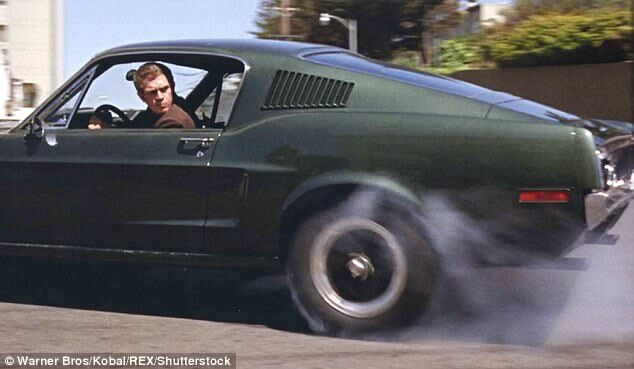 The Mustang GT that was part of one of the most iconic car chases in American cinema was bought and kept in a garage by a New Jersey insurance executive since 1974, according to Vanity Fair. Robert Kiernan, the executive, saw an advertisement for the car in the classified section of Road & Track magazine. 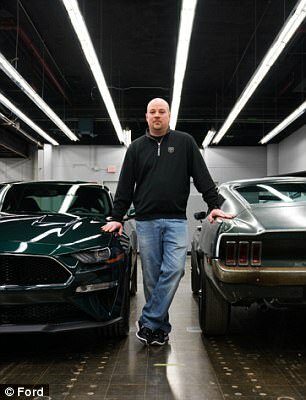 The Mustang is painted in Ford’s custom Highland Green and boasts of a V-8 engine with 390 horsepower. 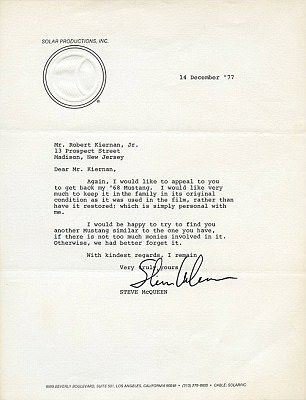 In 1974, Kiernan paid $6,000 for the car – a bargain considering its historic significance. ‘It was never meant to be a secret. It was just our car,’ Robbie Kiernan, Robert Kiernan’s widow, told CBS News. ‘It was unbelievable - I mean, we had seen the movie, and then to see the car,’ she said. Robert Kiernan died in 2014. After he bought the car, Robert Kiernan drove it on a daily basis for six years, adding 30,000 miles to the odometer. In 1980, the car’s clutch stopped working. Kiernan then put the car into his garage and left it there. McQueen tracked down the car and offered to buy it from Robert Kiernan twice, but the insurance executive wasn’t interested in selling. That turned out to be a very smart decision by Kiernan. Today, the car is valued at somewhere between $3million and $5million. 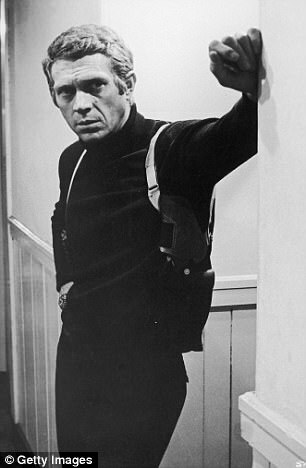 In honor of Bullitt’s 50th anniversary, Kiernan’s son, Sean, refurbished the car, which was unveiled at a Ford auto show in Detroit earlier this month. 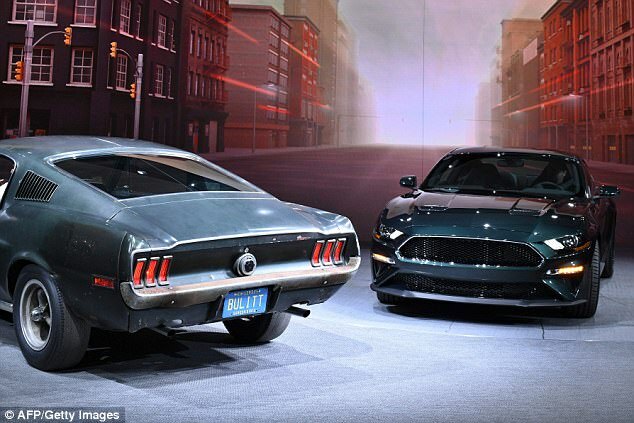 The company also rolled out a 2019 tribute edition, the ‘Bullitt’ Mustang. 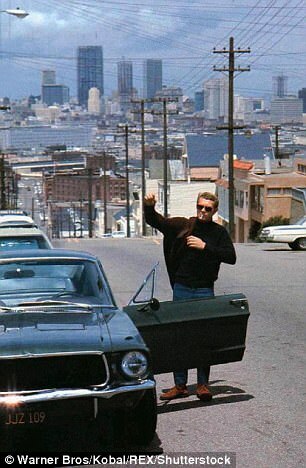 The famous car chase scene in Bullitt features two Mustangs that are identical. The ‘hero car’ driven by McQueen, which looked brand new throughout the movie, was the car that the Kiernans bought and kept. 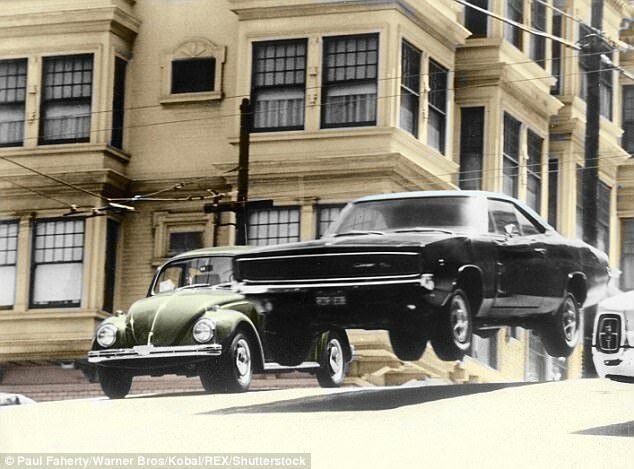 The other car was known as the ‘jumper car’ – the car that was filmed driving out of control and leaping through the streets violently during the chase. That car was also found after it went missing for decades. It was so badly beaten up in production that it was supposedly sent to a junkyard. However, it's come out that the same car resurfaced in an unknown location in Baja California, Mexico. A member of the Vintage Mustang Forum, Fede Garza, posted photos of a Mustang that was about to be converted into a replica of the 'Eleanor' Mustang from the film 'Gone in 60 Seconds' at a restoration shop. 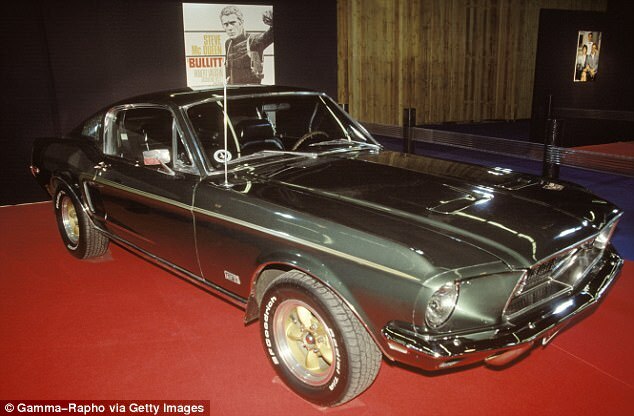 The car's owner researched the car's vehicle identification number (VIN) and learned that it might be the 'Bullitt' Mustang. After it was confirmed to be the stunt car from the film, it was subsequently restored.